Agile coaching. Agile testing. Agile mindset. Agile working. Agile recruitment. The latest business buzzword has now come to HR. But why is this reincarnation of the 90s software development methodology so important? Agile HR is here to stay, and has transformed the way I work. Gone are the days when HR practitioners were autocrats on employees and processes. Instead of a “we know best” approach, we’ve moved to become facilitators of success. It’s taught me to become comfortable in collaborative environments and adept at dealing with ambiguity. As a digital agency, we have hundreds of high-performing, highly-skilled people at our fingertips, and before we adopted Agile methods, the HR team had not once asked any of them what they wanted from their People Team to help drive the organisation forward. Beyond is experiencing fantastic levels of growth. But until this year, there was no global people planning, no shared people structure or people strategy across our four studios worldwide. Instead, everyone worked in successful silos. We want to harmonise ways of working across all studios and all disciplines. And it was the responsibility of the People Team to work out how we would do so, in a business that does not celebrate hierarchies. Our first step was to organise our first “People Summit” — a four-day bootcamp — with all senior HR and operations team members across all four offices, to identify how to drive the organisation forward. We saw this as an opportunity to demonstrate that a joined-up strategy can be flexible enough to allow for the speed of change, and work as a collaborative programme. Our goal was to create a comprehensive global strategy for HR, and to have discussed our approach to key topics such as Diversity & Inclusion. In order to give the four days the flexibility it required, the agenda was pulled together in the style of a physical Kanban board — a work and workflow visualisation tool. Everyone was asked to share their expectations for the week at the start, and these were used for a check out on the final day. Our days started with stands ups and retrospectives, along with an overall retrospective on the last day with commitments and next steps. This way of working reflects the way that creative teams undertake projects in the studio, and fits especially well with our business. 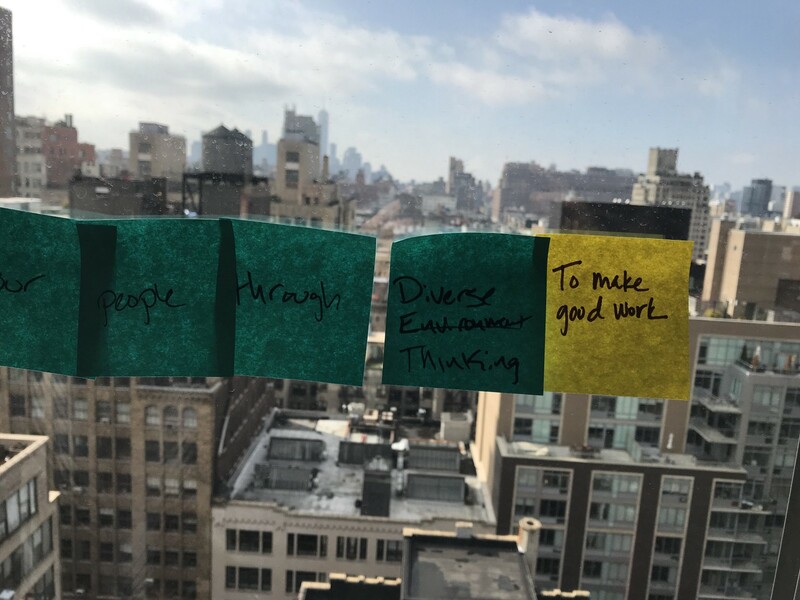 We used qualitative research methods to understand the New York studio’s perception of the current HR team. Their in-house User Research team asked what everyone working at the studio was looking for in the form of support. We plan to repeat the bootcamp biannually in each studio, and will add data from each location to feed into our overall strategy as we progress. Researchers also asked everyone in the studio specific questions to track employee happiness over the last two years. They mapped these against studio milestones. This gave us huge insight into the impact that internal and external events can have on a team’s engagement. The People team had never been in the same room before. On day one, we were a group of individuals who suspected we shared a common goal. So our first task was defining who we wanted to be as a team: what our purpose is and the culture we will create. 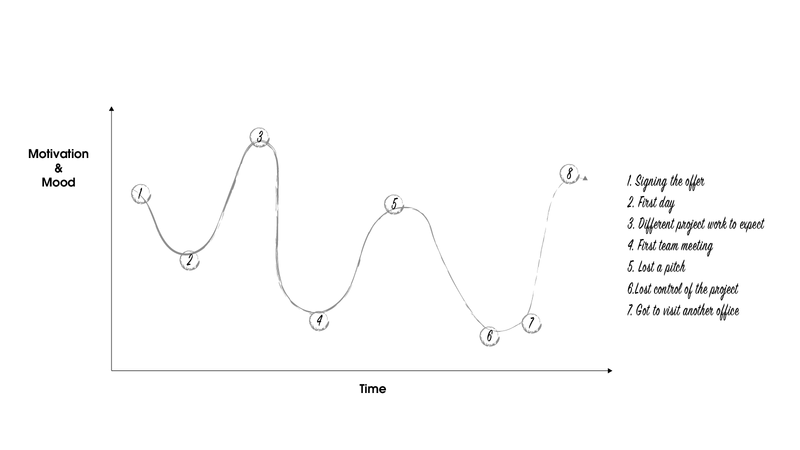 This was followed by an exercise adapted from the Kubler Ross change curve to explore shared and personal experiences during any individual’s Beyond journey, and the rollercoaster of highs and lows one can experience in the agency world. This qualitative data, paired with happiness data of employees with less than one year tenure identified a trend: new starters experience a severe dip in morale after one month, and then a second dip as they approach half a year at the studio. We now identify individuals going through these tough times and are proactive about offering support. Eventually, I’d love to be able to benchmark this across the industry to understand the main triggers. The global roadmap — showing our shared priorities — was completed using all of the data we’d gathered and Global Leadership team input. Using Design Thinking methodology to ensure we were solving the right problems with the right solutions, we turned each area into a user story, with two personas: ‘as a business’ or ‘as an employee’. We then prioritised and weighted each one. We finished with 93 user stories to address. 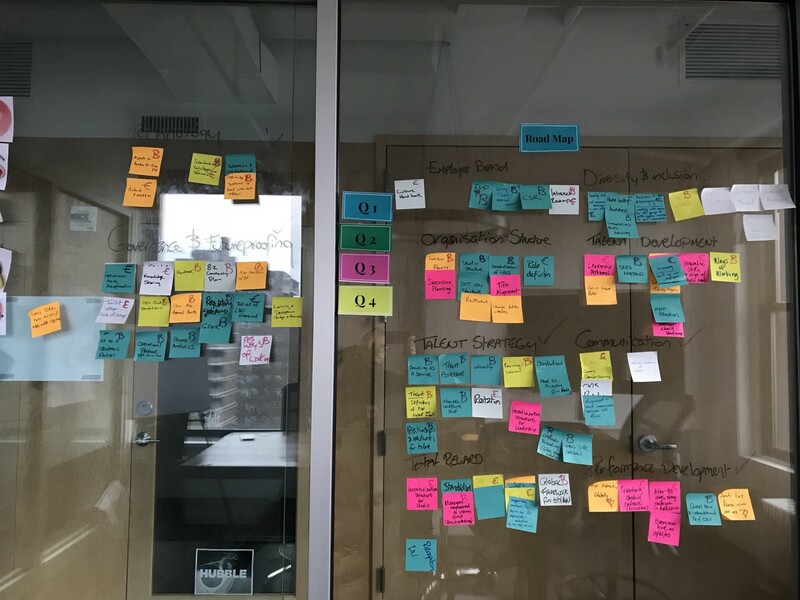 As a group, we agreed that a user story was successfully completed when a studio member — outside of the People team — was able to pick up the completed work and run with it, be it documentation, process or initiative (definition of done). Areas such as Diversity and Inclusion became conversations that we committed to keep ongoing. We are now in our second quarter, and have completed 12 sprints. Some of our user stories are closer to epics, and we’re learning as we go. 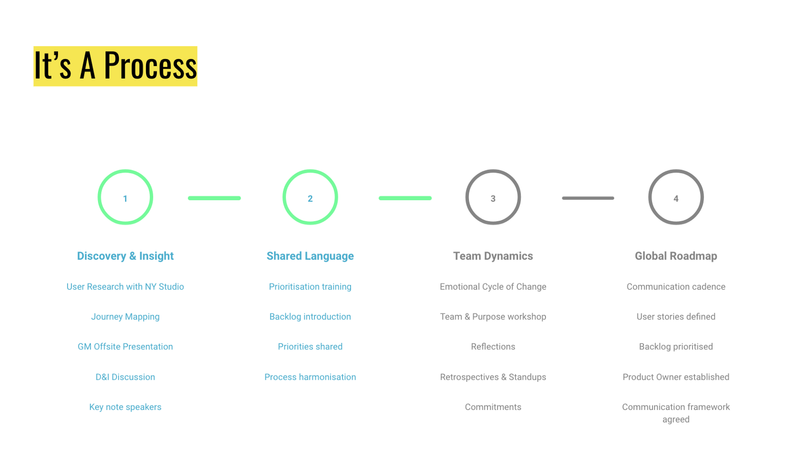 The People team is now the example within Beyond for a team that can come together without hierarchy or a global role and build a roadmap and strategy that will drive the organisation forward. We have already created a global approach to performance development, onboarding and defining our senior structure across studios. We offer more training, including implicit bias training in all studios. Next, we’re focusing on defining career pathways for all of the disciplines within Beyond. Take time to really understand the principles and methodology of agile and its manifesto. It’s a movement and a mindset that will make sure HR remains relevant and credible. Remember to start small. As anyone who has been through any agile transformation will tell you, adoption comes from incremental changes and clear feedback loops. Think about application in a broader context: we’re next applying agile methodologies to the organisational structure of Beyond globally, to meet our clients needs, be able to scale and to support the development and work quality of team members. Kate Rand is an HR leader and part of Beyond’s Global Leadership Team. She attended Natal Dank’s AgileHR course in February.